This was a tough post to find the right wording for the title. I wrote several of them before settling on the final version you see. Part of me wanted the title to read, “If your dog stops eating, PLEASE don’t mess around. Get them to the vet!” Of course, that’s my gut reaction after losing Sadie so soon after she completely stopped eating one night. Then, there are the other titles I came up with like “First they stopped eating, then they died.” And while morbid and dramatic, that’s really kinda how my two experiences with this topic have played out. 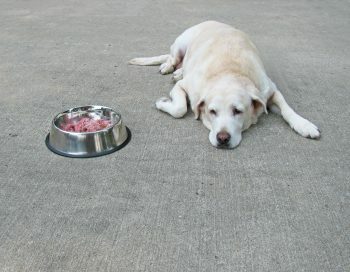 This post isn’t meant to scare you, but to show you how a dog’s lack of appetite can be a huge red flag that something is very seriously wrong with your dog.